It was an “ugh” kind of non-conference season for George Mason. We knew heading into the season that depth would be an issue; the Patriots lack size down low and don’t have too many guys coming off the bench and scoring buckets. A spirited performance on the road against Louisville was encouraging, but after that, Mason wasn’t able to get anything going. They’ll hope to turn things around in a hurry heading into league play. I think I can honestly say that George Mason got 0. Most teams at least picked up a win over a Kenpom Top 200 team. George Mason’s best victory is over Binghamton (#222) back in the 2nd week of hoops. A 4 point road win over James Madison was GMU’s only win outside of EagleBank Arena, but again, it’s James Madison. George Mason certainly had a few. A home loss to William & Mary really stands out in my mind. That’s what really dragged down the Patriots, and they’ve been unable to make much of a recovery since. George Mason also suffered a 23 point home loss to Georgia Southern, scoring only 51 points the entire contest: not good. Similarly, a 72-54 home loss to Penn St. was certainly expected, but this is another example of a game where George Mason had nothing to show for on offense. The Patriots rank 310th in three point shooting this year as the team is firing at a 30.5% clip; offense is hard to find with no real perimeter threats. I have to give it to George Mason straight: it played pretty awful basketball in the months of November and December. Goanar Mar’s emergence is one of the only promising takeaways. Also, this team is still young, so Dave Paulsen needs some time to rebuild. 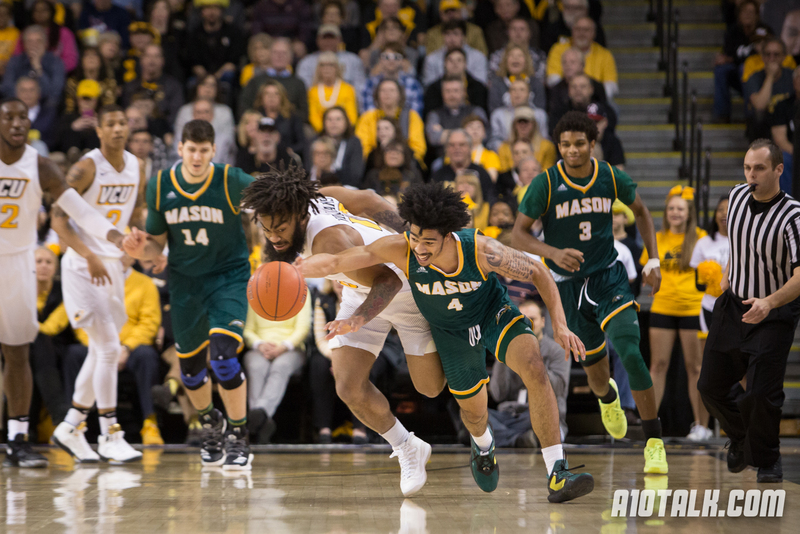 No one was expecting much of GMU this season anyway, but even so, this non-conference slate did not go how George Mason planned. It’s not so much the 6-7 record that warrants this grade because even wins over teams like Cal St. Northridge came down to the wire. It was more the quality of basketball played. Hopefully George Mason can turn things around heading into the new year.